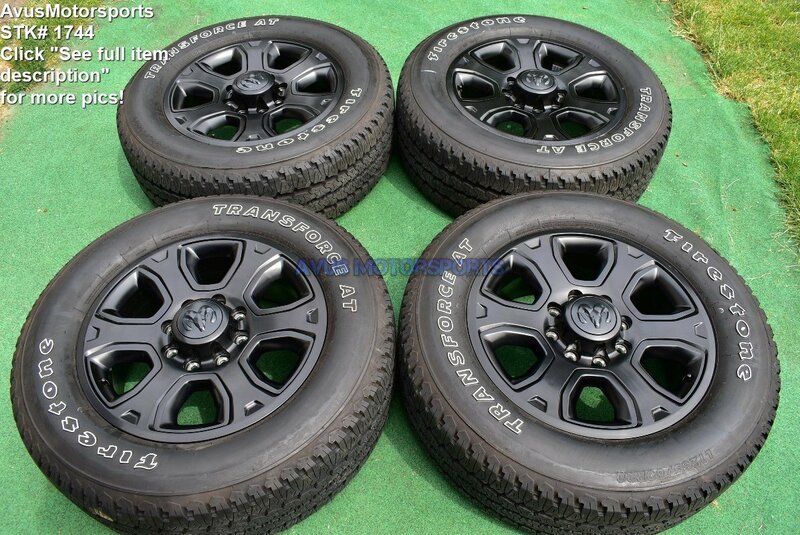 This auction is for a set of (4) 2017 Dodge Ram 3500 OEM genuine factory 20" black wheels NOT REPLICA and Firestone Transforce A/T LT285/60R20 tires. These wheels and tires were taken off around 1000 miles, so they are in very good condition, but do expect minor scratches or blemishes (see pics). Please review all pics! NOTE: The suspension on rear wheel drive models will be too low.